Using satellite data, researchers say sea levels could rise by half an inch a year by the end of the century, which is double current projections. Leaders in coastal cities from New York to Shanghai are debating how to handle rising sea waters. New research suggests they have less time than they think to make up their minds. Sea levels are rising at an accelerated pace, according to a paper published Monday in the journal Proceedings of the National Academy of Sciences. Driven mostly by melting ice sheets in Antarctica and Greenland, the oceans are rising more than 0.003 inches faster every year, the researchers claimed. “It’s a small signal and yet, over 100 years, small signals add up to a lot,” Steve Nerem, a University of Colorado, Boulder aerospace engineering professor and fellow at the Cooperative Institute for Research in Environmental Sciences, said in an interview with Seeker. The previous consensus among scientists was that the oceans were rising at a steady clip of a little more than a tenth of an inch annually. 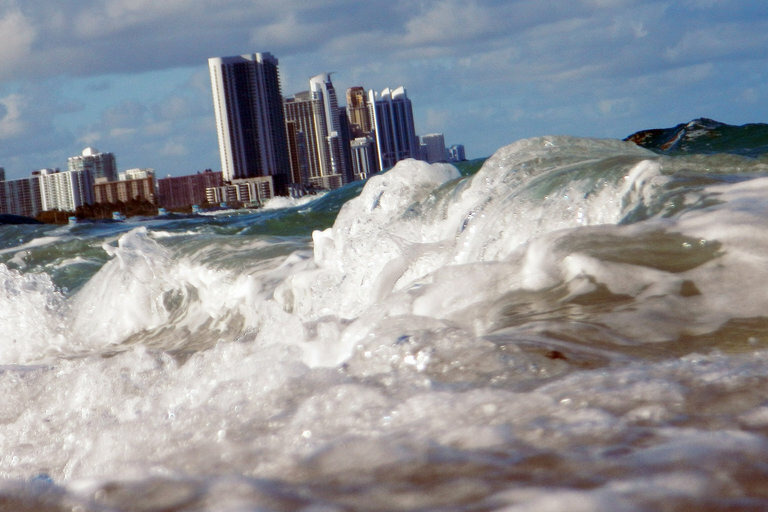 This new research shows that, rising sea waters could be climbing up around half an inch a year by 2100. At that rate, sea levels would be 26 inches higher at the turn of the century than today — more than double current projections that assume a constant rate, Nerem and his colleagues found. At present, folks might dismiss rising sea levels because they don’t notice any changes. That’s changing, Nerem said. “In 2100, people … would be able to go on vacation to the beach and come back 10 or 20 years later and see a difference,” he said. Nerem stressed that his and his colleagues’ work was conservative. He also admitted that the findings were not a great surprise. Research had previously suggested that sea levels were not only rising but rising faster and faster. But Nerem’s team used 25 years of satellite data to measure the rise, compared it to tide gauges and other measurements and took into account volcanic eruptions and weather that might alter sea levels. Others had not taken those other factors into account, he said. Volcanos emit smoke and ash that can block the sun, cooling Earth and forcing water to compress into a denser state. Warm water, on the other hand, expands. El Niño and La Niña events also alter temperatures and rainfall that cause the seas to rise and fall. Nerem aimed to review his findings as more satellite data became available. In the meantime, he hoped his research would help others who are studying climate change.